TEHRAN (FNA)- A three-judge tribunal sentenced the former military leader of Guatemala, 86-year-old Efrain Rios Montt, to 80 years in prison. The court found Montt guilty of genocide and crimes against humanity for ordering the deaths of 1,771 people, members of the Ixil Maya ethnic group, during his time in office in 1982 and 1983. 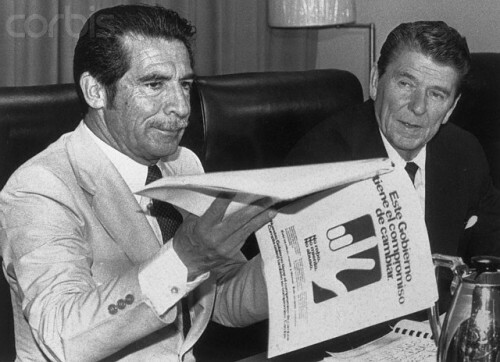 Montt’s tenure as dictator was marked by military assistance from Israel and the US, with former president Ronald Reagan, RT reported.